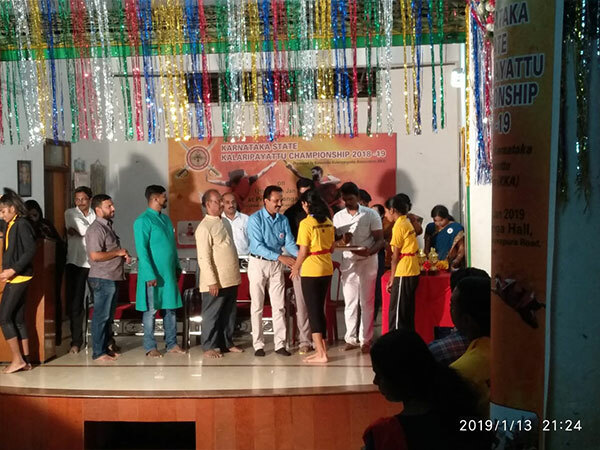 The State Kalaripayattu Championship of Karnataka for the year 2018-19 was held in Bangalore on the 12th and 13th of January 2019. 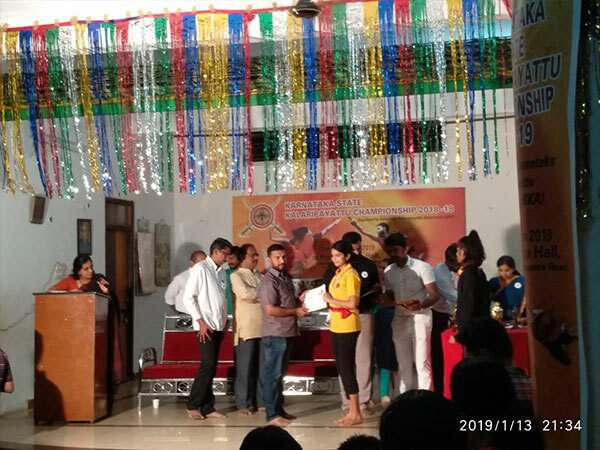 The event saw more than 250 students participating at various levels. Anchita Gopkumar of Grade 9 won medals in each of the 3 events that she competed. In Chuvadukal, which is a long timed sequence comprising different attacks and defence techniques, she won a bronze medal. 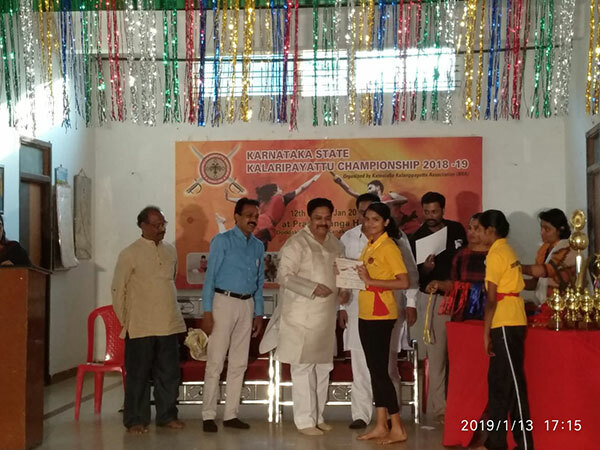 She won silver medals in Kaipporu, a series of unarmed, full contact combats and in High-kick where she kicked a ball placed at 6.9 feet. This saw her qualify for the Nationals held on 1st, 2nd and 3rd of February. 1 Million for 1 Billion is a skills development and entrepreneurship program that aims at empowering one million young people to create jobs for one billion people. 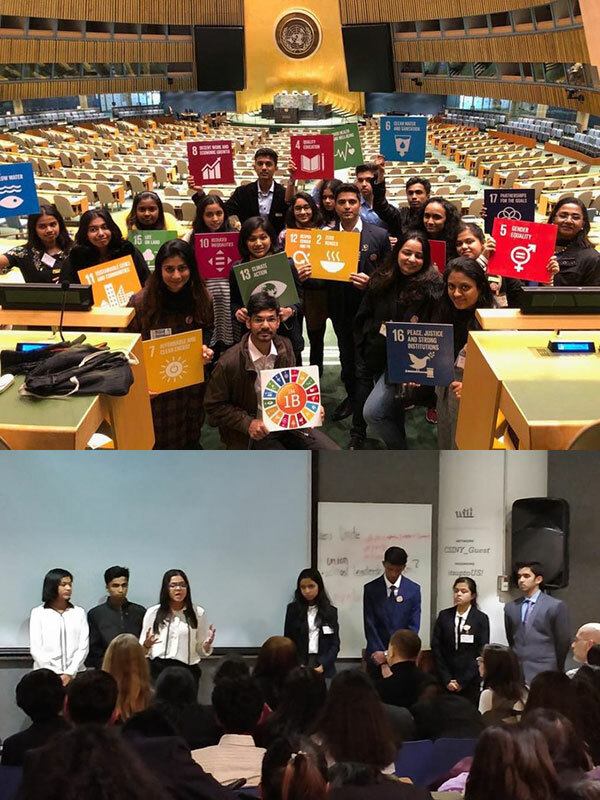 As a part of its Future Leaders initiative to create a new brand of socially conscious leaders who are connected to their communities, three of our students from Grade XI were provided with a one-of-its-kind opportunity to present their work at the UN Headquarters in New York. Shrish R”s project Aqua Udyog aims to generate employment in rural areas with an eco-friendly and cost effective aquaculture project. Shashank Noubade worked on reducing single use plastic in shops and homes. Shreekar Puranik presented his idea on equipping students, cab drivers and the neighbourhood community with first aid and basic emergency response skills. Day 1- we arrived at New York and checked into the hotel, all of us made new friends from multiple schools. We got in pairs with our roommates and rested for the evening. 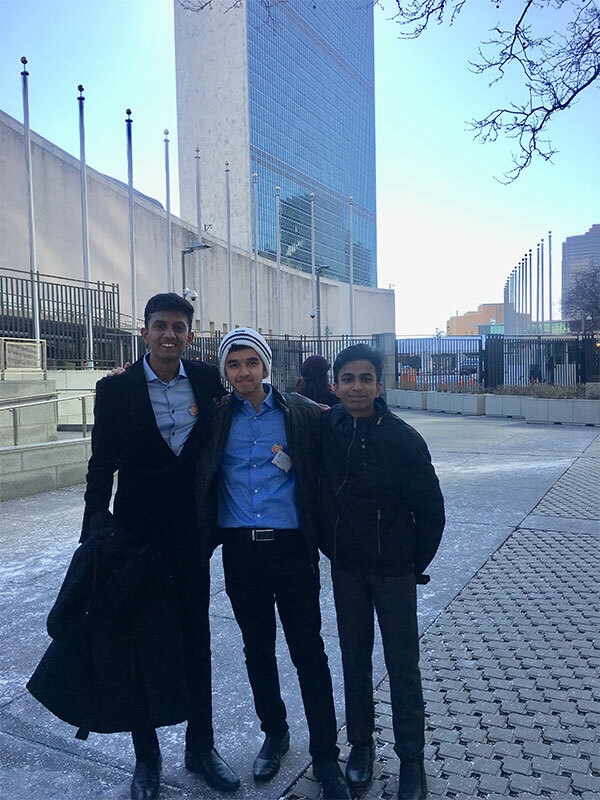 Day 2- we had a trip to the United Nations to learn more about it before the event. It was an amazing place and the building was massive! They mentioned that the United Nations in New York worked as a separate nation inside their borders with their own police, fire department, and international security checks. They showed us some very important rooms like the general assembly where diplomats from all over the world meet and discuss about global crisis and problems. They also had a live count of the amount of legal money spent on weaponisation and military worldwide per day, everyday and start the count from zero every midnight. Before our own eyes we saw the numbers raise in millions every second as they explained and on an average at the end of the day it adds upto $7 Billion! After seeing all the incredible things in the UN we were all stunned. Later on we had a New York trip where we visited the Rockefeller center, Wall Street, the twin tower memorial in honour of the victims of the 9/11 tragedy. In the evening we had a mixer event where all of us (about 50 young leaders) would give a 30 second pitch to special guests and they would vote for the projects of their liking and the most voted project wins the “New Yorker’s favourite” award. This part of the day was quite disappointing, the people didn’t seem to like my project as much and the end of the event left me with just 1 vote. I knew I had to get better overnight to face the judges on the next day so I discussed with my mentor and changed my presentation overnight which was a lot of work to do but I didn’t give up. 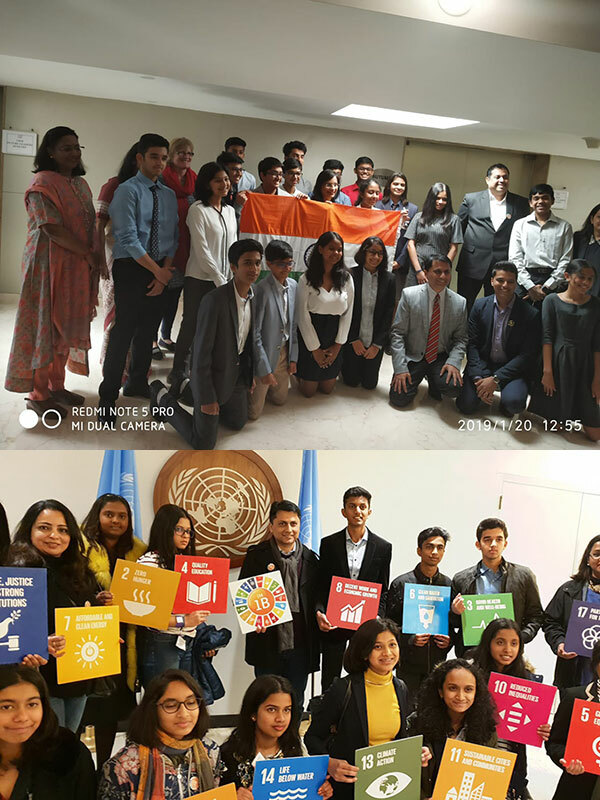 Day 3- today was the semi final and final round for selecting the top 3 that would present at the United Nations the following day. We were made to present our project to international judges that would vote for us and select top 5 from the semi finals round and top 3 from the finals round from each batch. We were all extremely nervous and gave it our best. I made it to the semis and we all had to wait for the finals result till it was night. And when all of us were called for the result announcement I was shaking. The moment I got to know I was selected in the top 3 I froze and couldn’t believe it. It was one of the most amazing feelings I have experienced and the best thing that had happened. I was up late trying to practice for the big day! I was part of the dream employment panel and we all got our turns to speak and showcase our work. It “event”ually ended and we had to leave for the hotel as we were getting late for our flight back home. All of us wanted to stay there longer and take a look at some of the best things New York has to offer but unfortunately we couldn’t. I have to say that this trip which had so many ups and downs, from 1 vote to top 3, taught me a lot of important life lessons which has help me build myself better. It helped me meet some amazing and inspiring people and this was a significant part of my life, one of the times where I would look back at and say “ah those were some good old days”!